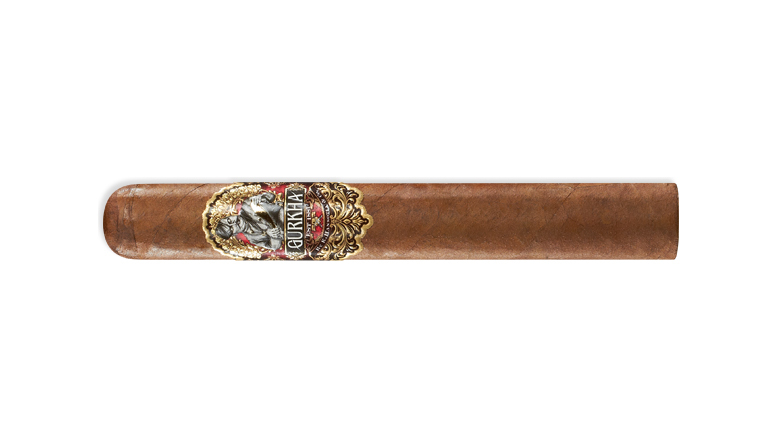 The Gurkha 125th Anniversary was created in honor and commemoration of Gurkha’s 125th Anniversary. Using a carefully chosen blend of selected tobaccos, the 125th Anniversary blend features an oily Cubra, Brazilian Habano wrapper, accompanied by an Ecuadorian, Habano binder and a complex combination of Nicaraguan, Brazilian and Dominican fillers. This intriguing medium bodied cigar encompasses a very smooth and complex taste profile, with flavorful notes of rich tobacco and subtle hints of sweet spice, vanilla and chestnut.